Sensi ST55 vs UP500W - Which is Best for Your Smart Home? Sensi ST55 vs UP500W – Which is Best for Your Smart Home? Not sure which Emerson thermostat is best for your smart home – Sensi ST55 vs UP500W? I think you’ll agree with me when I say that our homes are getting smarter. While it’s no big deal to walk over and press the up or down arrow to change the temperature in your house, the introduction of smart thermostats has made our lives easier. After all, our lives are more complicated and busier than our parents were. Our time and patience are stretched thin these days. So the ability to change the temp on the fly from your phone, from anywhere in the world, is awesome! Emerson makes 3 different smart-home-compatible thermostats under the Sensei brand name. The 3 different models are the ST55, UP500W, and ST75. 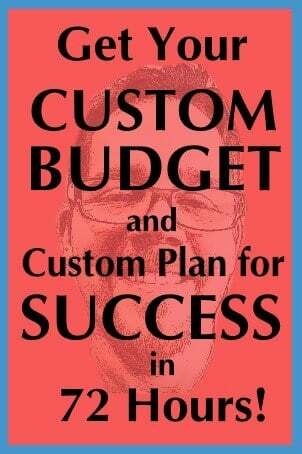 Each model offers a Pro version and a DIY version. The main difference is the pro version comes with professional installation and has a 5-year warranty instead of the 3-year. In this post, we’re diving deep into the features, requirements, and installation of both the Sensi ST55 vs UP500W. We’ll compare and contrast so that you can make the best decision for your wallet and your home. I have reviewed the UP500W previously (their original thermostat) as I have installed 2 of those. So also take a moment to check out that Sensi Thermostat Review in case that one is more to your liking. But for now, let’s dig into the Sensi ST55 vs UP500W. Either way, Sensi ST55 vs UP500W work with virtually all 24 volt systems. In fact, the only systems they don’t work with are millivolt systems and electric baseboard heating systems. If your system has a heat pump, these Sensi wi-fi thermostats will work with two stages of cooling and four stages of heating. Have a humidifier or dehumidifier? No problem, the Sensi ST55, and UP500W will work with those too. Most of us are not HVAC techs and we don’t want a thermostat that requires one for installation. The last Honeywell thermostat I installed was complicated and I ended up having to get a pro out as I just couldn’t get it to work. Luckily Sensi makes it really easy! Their free mobile app (linked below) simply walks us through step by step. 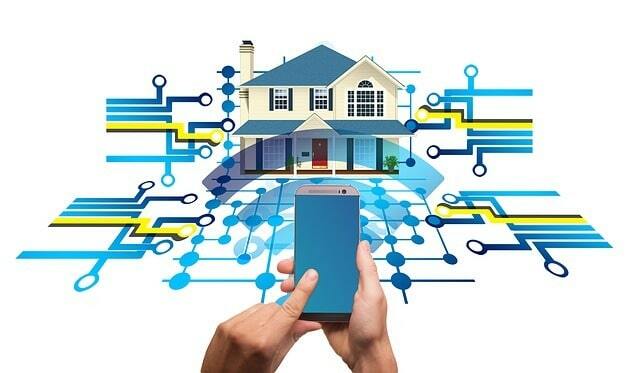 Since your new thermostat connects to wi-fi, the app and the thermostat were in communication and that ensured a quick and easy installation. Want to see just how easy installation and connecting your Sensi thermostat can be? Check out this video! Either way, Sensi ST55 vs UP500W uses 2 AA batteries and they ARE included when you buy one. Emerson says the battery life is 12-24 months. A quick check of the two I use shows a completely full battery bar and I haven’t replaced them since purchasing about a year ago. The screen of the display shows both battery life so you can always see where they’re at quickly and easily. With either thermostat, Sensi ST55 vs UP500W, with the mobile app for Android or iOS, you can make instant changes on the fly from your smartphone! Get the app now for free! 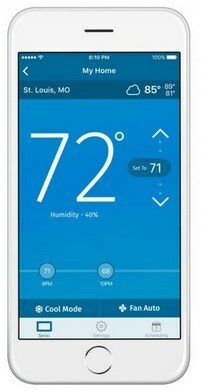 While you used to be able to also use desktop or laptop to control your thermostats that is now a paid feature, but the mobile apps remain free. 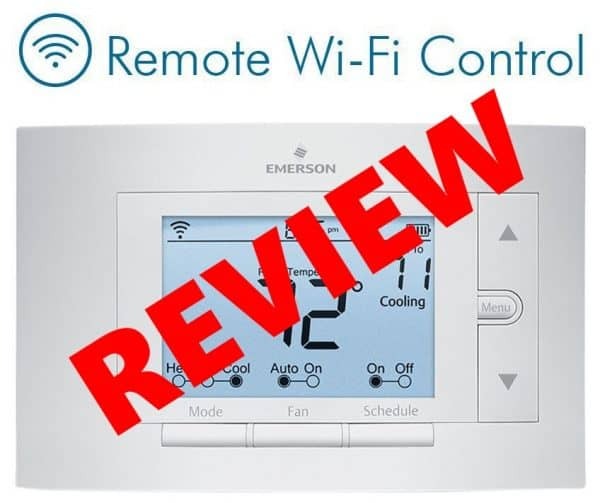 Check out this video to see just how easy it is to control your Emerson Sensi smart thermostat from your mobile device. Sensei thermostats integrate with Amazon Alexa for voice control and Wink smart home platforms and work with Google Assistant and Google Home using the no-cost Wink app. To be compatible, just make sure that you have the Sensi app and the Alexa or Wink apps set up on your phone. Get the Alexa app for Android or iOS or the Wink app for Android or iOS and you’ll be set. A “Discover Devices” box will pop up. Select Discover Devices OR say, “Alexa, discover new devices.” The app will show a progress bar while Alexa is looking for devices. Wait for the “Discovery Complete” message. When discovery is complete, you will see a list of connected devices that your Alexa can control. You should now see your Sensi thermostat in this list and will be able to interact verbally with your Sensi thermostat. Giving Sensi thermostat Wink control is easy. 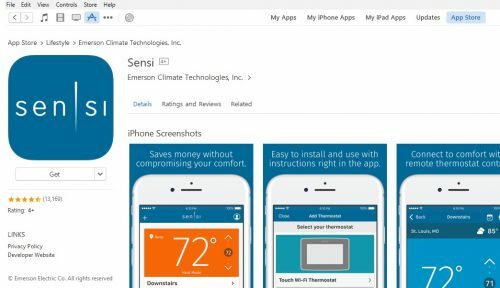 Simply open your Wink app, click “add a product”, then select Sensi thermostat under “Heating & Cooling” and follow the instructions. Or simply ask Alexa what the current temp is. Ready to program your thermostat? You can create a schedule for each day of the week or just one for weekdays and one for the weekend. Each day can have multiple set points too. Thus you can have 1 temp while you sleep, bump it up slightly when you get the kids up for school. Then bump it way up when everyone heads off to work and the house is empty. Then have it drop back down 30 minutes before everyone gets home. Check out this video to see just how easy it is to program. 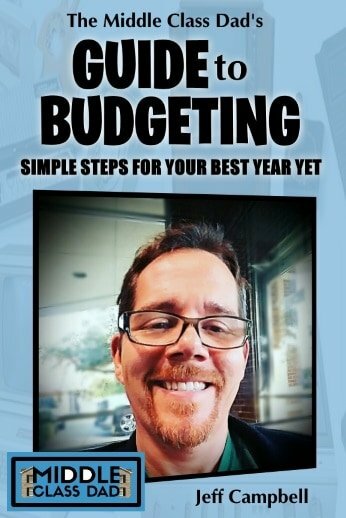 Want a non-video guide on programming your schedules? Check out an earlier Sensei Review post I did and scroll halfway down to the programming section. the location of the homeowner’s smartphone. Easy step-by-step guide in the app to connect to Wi-Fi. 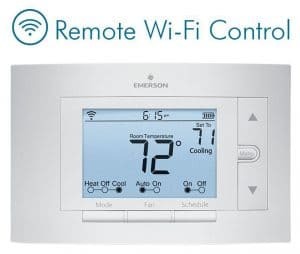 While not as fancy or hi-tech looking as the Ecobee or some other smart-home thermostats, the Emerson Sensi ST55 and UP500W are ultimately two high-performance digital thermostats. The Sensi boxes are wider than many on the market and they lack the touch screens that some newer models have. They are, however, backlit so the screen can be read easily when needed. To save on power, the screen also times out after an appropriate amount of time. However, ultimately most people are looking for smart thermostats so they can control them from their phone or tablet. Thus how fancy the box is really doesn’t matter that much if it does the job. The display does show everything you’d expect though, from temp to time, to whether it’s getting Wifi signal as well as whether it’s on heat or cool mode and if the fan is always on or on auto. Either way, Sensi ST55 vs UP500W, the unit will automatically switch between heat or AC depending on the air temperature and you can program it by day with multiple time settings per day. You can also choose to lock the keypad so it can only be controlled by a mobile device. So what are the crucial (but minor) differences between the Sensi ST55 vs UP500W? Ultimately these 2 smart-home thermostats are almost identical. But the ST55 is HomeKit™ compatible and the UP500W is not. With HomeKit™ enabled on your ST55, the thermostat can only be powered via a “c” wire. But with the UP500W, it can be powered with either the “c” wire or two AA batteries (which it comes with). Other than these minor differences, these thermostats are identical. HomeKit™ is specific to Apple, so if you have an Android smartphone, you don’t need to worry. If you do have HomeKit™ then just like with Alexa, you can give commands to Siri like set the temperature to 72 degrees, using the Home app on your iPhone, iPad or Apple Watch. Just make sure you have the Home app for your iOS device. The Home app comes pre-installed on any Apple device running iOS 10. HomeKit and your Home app can, of course, control any smart device in your whole house, not just your Sensi thermostat. So go crazy; open garage doors, bump the temp down in your fridge or turn off lights that your daughters leave on when they head off to school, all with a simple command to Siri. If you use HomeKit, you will definitely want to Buy the Emerson Sensi ST55. Ready to buy the Sensi ST55? Great! Currently, on Amazon Prime, it is listed at $103 for the DIY version, is an Amazon Choice product with 4 stars out of well over 400 reviews. Prefer the Emerson Sensi UP500W? Great! Currently, on Amazon Prime, it is listed at $174.69 for the DIY version, is an Amazon Choice product with 4 stars out of over 3800 reviews. Did I cover everything you wanted to know about the Sensi ST55 vs UP500W? In this post, we explored the world of the Sensi smart-home thermostats made by Emerson. We compared features, prices, and the key differences. Specifically, though, we compared the Sensi ST55 vs UP500W so that you can make the best buying decision for your smart home. I’ve also done a comparison between 2 other smart thermostats, so if you’re really shopping around, check out my comparison between the ecobee3 vs 4 vs ecobee3 Lite. Join the discussion with any questions or comments!